The following story is shamefully true. So I'm not a 21st century woman. I have various social media accounts (you can follow me on Pinterest, Twitter, or Facebook and as soon as I figure how to link Instagram to all the other things I plan to flood the internet with something other than selfies) but don't use them a ton. Probably because I have a day job and lead a pretty boring life. I follow less than 50 people on Twitter. Which means that 90% of my Twitter feed is University of Kentucky sports, especially this time of year when football's winding down, basketball's gearing up, and our volleyball team has an extremely impressive and deserving #6 ranking. Because of this, any non-athletic tweets stick out like white shoes after Labor Day. And every now and again I am reminded I really have no business teaching impressionable, inquisitive minds how to read. Case in point: I saw the following pic and hashtag. And read it as Niall X Llamas. And got really psyched. I didn't know or really care why Niall was reading the Anna Dewdney book Llama Llama, Holiday Drama. That had to be what they were talking about, right?? Why else would there be an X in the middle? So I eagerly clicked on the video only to find out it was not Niall Horan reading a great children's picture book. But instead about an awards show. My bad. I'm pretty sure I was the only one who saw the hashtag and was totally misled. (#Oops #Embarrassing) In my defense, I do spend the majority of my days with about 30 children who have been talking about Christmas since August. Don't worry, you don't have to say it: I need to get out more. Clearly. 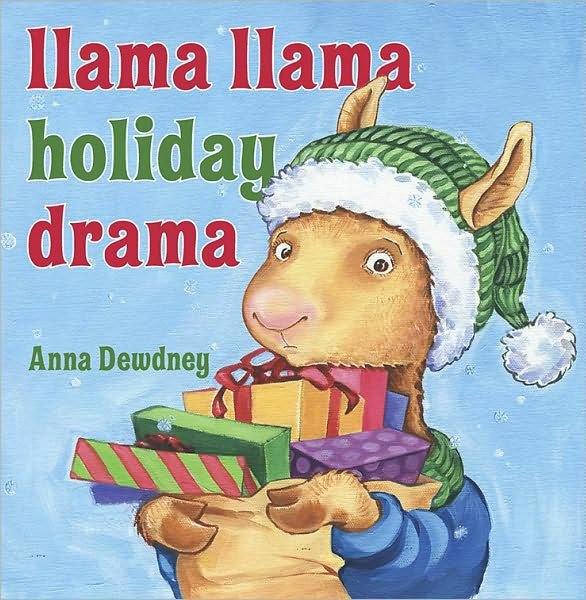 Speaking of being out and about, Niall Horan-should you ever find yourself in Lexington, Kentucky you have an open invitation to come read any of the Llama Llama books-Christmas or not. Good luck at the AMA’s!